When you rent your home, you have a contract with your landlord, and you are protected by specific laws and statutes. Landlords can’t just decide to make life difficult for their tenants - and if they do, there are plenty of legal remedies available. You cannot be charged a fee or commission for the provision of a let property. You are entitled to a rent book supplied by the landlord if the rent is paid weekly. You are usually entitled to a written lease clearly setting out the rights and duties of both sides in advance of taking the let. If the property is in a bad state of repair or develops any structural defects or dilapidation, the landlord has to make the place habitable - unless you caused the damage. You cannot be thrown out or have the locks changed against you when you are out, even if you are behind with the rent or in dispute with the landlord. Such actions are a criminal offence and you should report any intimidating behaviour to the police. The landlord cannot end your tenancy just because they wish to. It can take a long time, and may be defeated by the tenant. 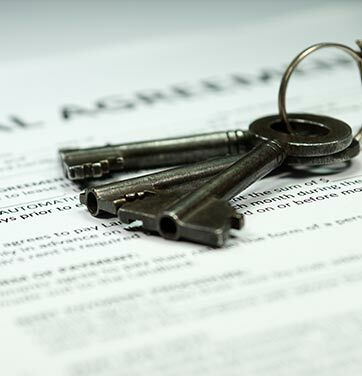 If you’re interested in renting a property, it’s worth knowing the various types of tenancy agreement you could sign up to. 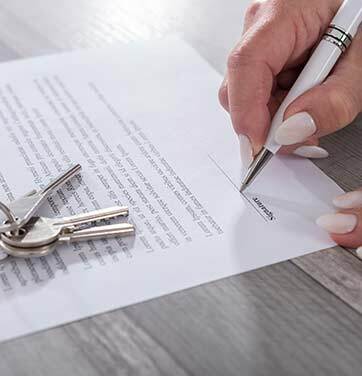 Short assured and assured are the main types of tenancy agreements in Scotland and landlords with these types of agreements must provide tenants with a written tenancy contract that is fair and easy to understand. This forms the agreement between the landlord and tenant, and sets out the legal terms and conditions for both sides. This is the most common type of tenancy in the private renting sector in Scotland and begins with a term of 6 months or longer. Once the first 6 months are up, the tenancy can be renewed for a shorter period. For a tenancy to be short-assured, a form called an AT5 notice must be given to the tenant, before they sign the tenancy agreement or move in. The landlord issues a notice to quit because they want to change the agreement, but the tenant stays in the property. The fixed period covered by the tenancy comes to an end, and the tenant stays in the property. A statement for the tenant, stating that antisocial behaviour is a breach of the agreement. It may also contain information about the furniture in the property, rules around pets, or smoking. Depending on the type of tenancy, the landlord and tenant will have different rights and responsibilities - so it’s important to have those clear from the beginning of the tenancy. For cases where the tenant is living with the landlord. Although no written agreement is needed, it is recommended that there is a lodger agreement put in place. Tenancies created before January 2, 1989, are usually this type. Some of these still exist but a new one cannot be created. With these agreements, landlords or tenants can ask Rent Services Scotland to set ‘fair rent’ with a form called RR1. If the landlord wants to make changes to the tenancy agreement, it will need to be agreed with the tenants. When you rent a property, it is in effect a legal agreement and as such, a number of laws and rights apply. Knowing these is crucial to ensure not falling foul of the law. The laws of housing and rental are quite complex, and there are different types of lease, but most private tenancies are now assured tenancies or short assured tenancies. The main thing about these leases is that they give you security of tenure - you are entitled to stay in the house or flat unless the landlord can claim certain legal grounds to repossess. There are 17 of these legal grounds, divided into two categories. If the landlord can meet one of the first group, a court MUST allow him to evict you. If the landlord meets any grounds in the second category, repossession depends on whether the court sees fit. The sheriff will have to decide if it is reasonable to evict you, and if he refuses, your tenancy can continue for as long as you like. If there is suitable alternative accommodation for the tenant. If the tenant's notice to quit has expired. If there has been persistent delay in paying rent. 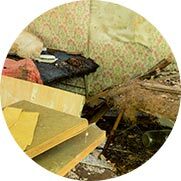 If the house has deteriorated through neglect or damage by the tenant, if the tenant has caused a nuisance, or if the tenant has used the house for immoral purposes. It takes months for even the best landlord to get the worst tenant out, so security of tenure is a powerful weapon to use. Another weapon is withholding rent. Unless specifically excluded by your lease, you can withhold rent in the event of a default by the landlord - for instance, if he fails to carry out necessary repairs. You can also take the landlord to court for damages if you have to get the repairs done yourself because he has refused or neglected to - but simply not paying until he keeps his side of the bargain is often the best way of grabbing his attention. You can also ask the local council to issue either an improvement notice or a repair notice on the landlord. Speak to the Housing Department or Environmental Health Department - there are several things they can try. There is also the Citizens Advice Bureau, and an experienced lawyer will be able to assist - legal aid is available, subject to your means. What if the place burns to the ground? What if the landlord comes in when I am not there? What if there is a break-in and my stuff gets stolen? If the lease is not to your liking, it is open to both sides to agree amended or different terms. Remember - you cannot be made to sign. Make sure the landlord has legal authority to lease the property as owner or agent, and that he is who he claims to be - ask for ID, and make sure you get it. 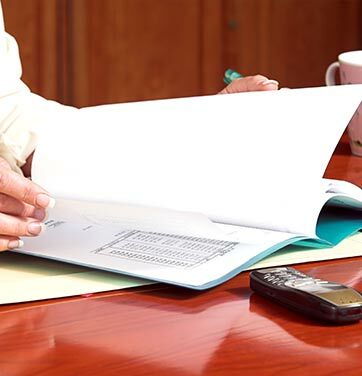 Ask for documents to prove identity if the landlord is an individual and not a professional letting company or agent. A proper landlord will have no problem with this. You are entitled to know what insurance the landlord has and if it covers you and your property in the event of a break-in, a fire, or other calamity. Speak to a general insurance broker or company to make sure you are insured for anything the landlord lacks.